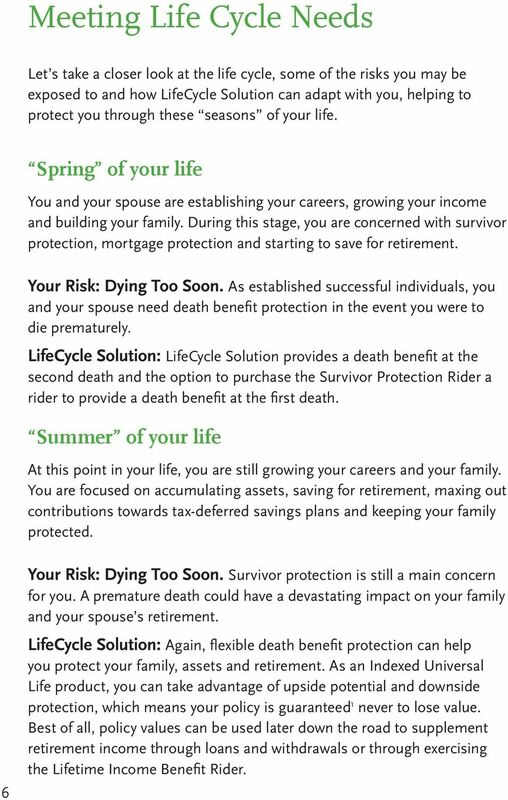 LifeCycle Solution Survivorship Indexed Universal Life Life Changes. Protect It. 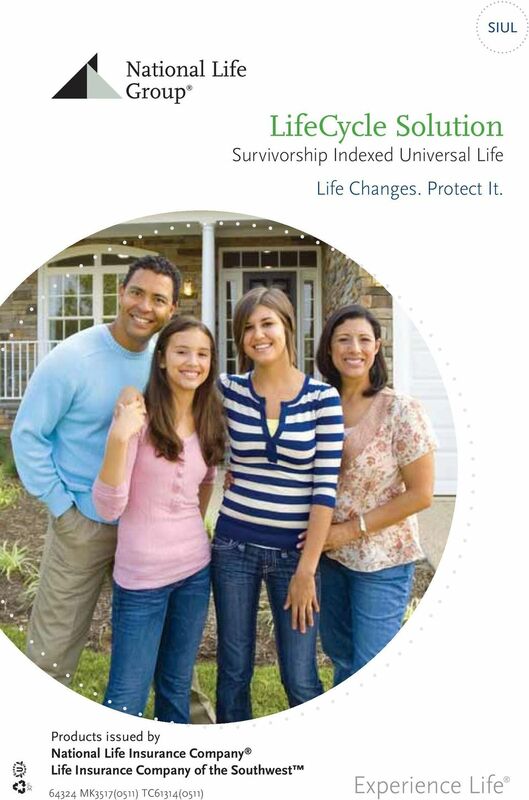 Download "LifeCycle Solution Survivorship Indexed Universal Life Life Changes. Protect It." 6 LifeCycle Solution Highlights Cash value accumulation is based on the S&P 500 Index with fi ve interest crediting strategies to choose from. 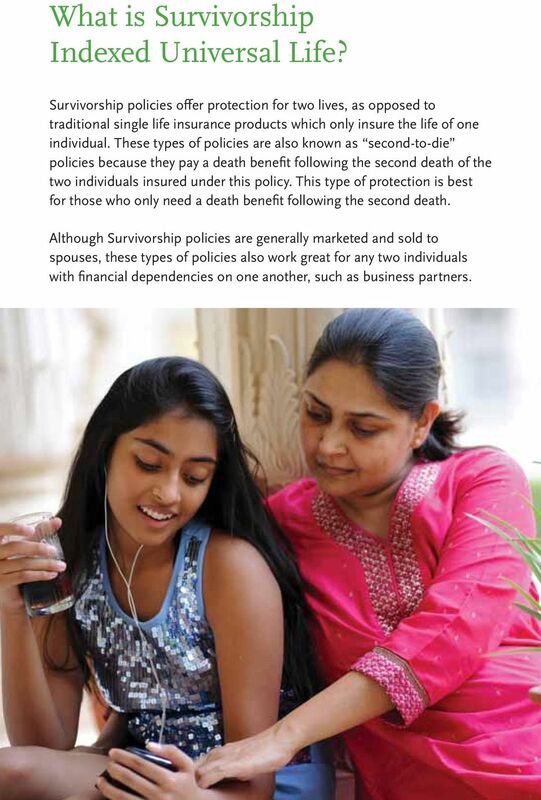 Option to elect the Survivor Protection Rider and receive a death benefi t at fi rst death for an additional premium in addition to the death benefi t at the second death. Improved access to policy cash value through loans and withdrawals 1. Potential to guarantee 4 yourself a stream of income for life 2 money you can t outlive through the Lifetime Income Benefi t Rider if certain criteria is met. 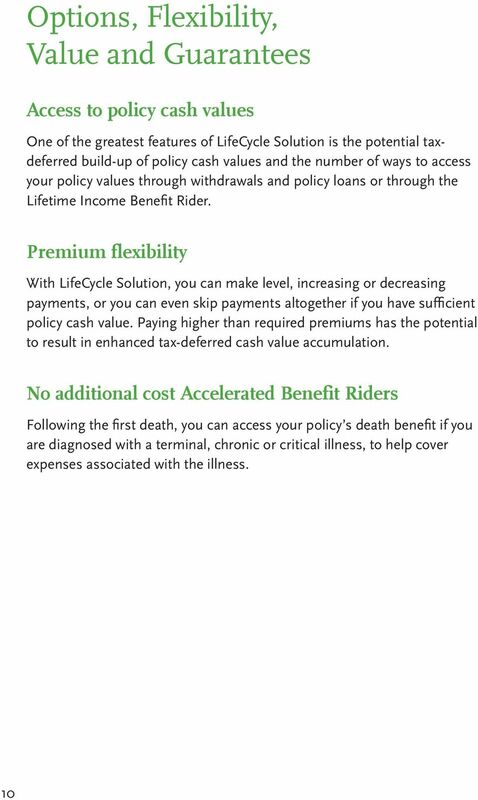 Accelerated Benefi t Riders at no additional cost, available after the fi r s t d eath. 3 Option to earn a guaranteed 4 fi xed interest rate. 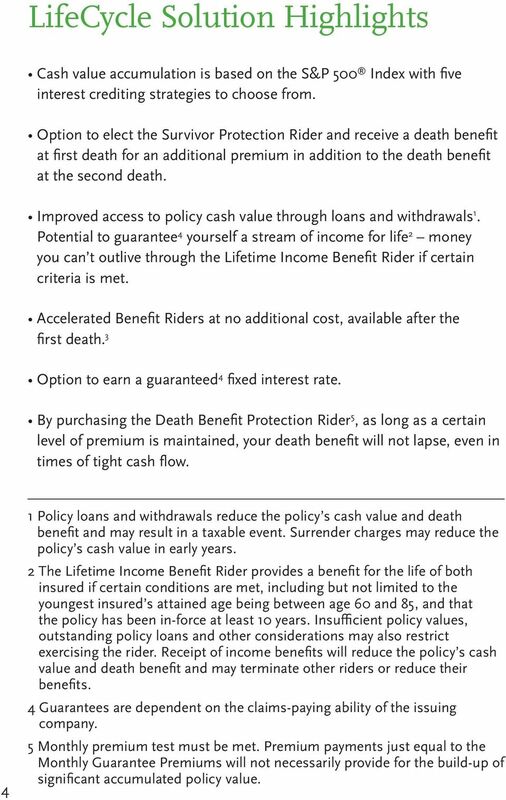 By purchasing the Death Benefi t Protection Rider 5, as long as a certain level of premium is maintained, your death benefi t will not lapse, even in times of tight cash flow. 4 1 Policy loans and withdrawals reduce the policy s cash value and death benefi t and may result in a taxable event. Surrender charges may reduce the policy s cash value in early years. 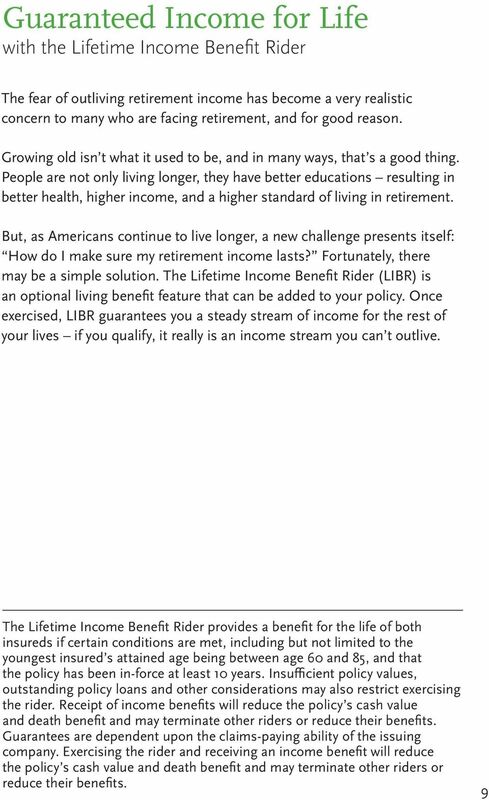 2 The Lifetime Income Benefi t Rider provides a benefi t for the life of both insured if certain conditions are met, including but not limited to the youngest insured s attained age being between age 60 and 85, and that the policy has been in-force at least 10 years. 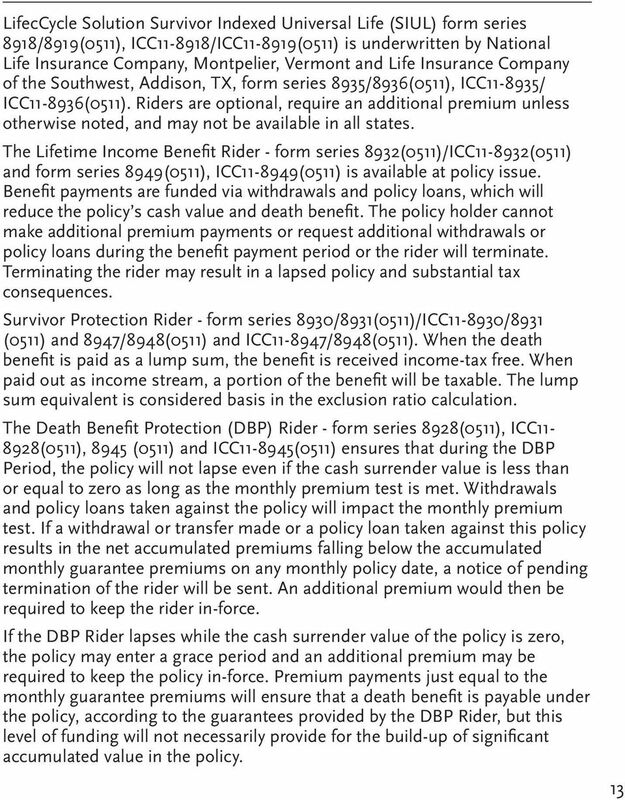 Insufficient policy values, outstanding policy loans and other considerations may also restrict exercising the rider. Receipt of income benefi ts will reduce the policy s cash value and death benefi t and may terminate other riders or reduce their benefi ts. 4 Guarantees are dependent on the claims-paying ability of the issuing company. 5 Monthly premium test must be met. Premium payments just equal to the Monthly Guarantee Premiums will not necessarily provide for the build-up of signifi cant accumulated policy value. 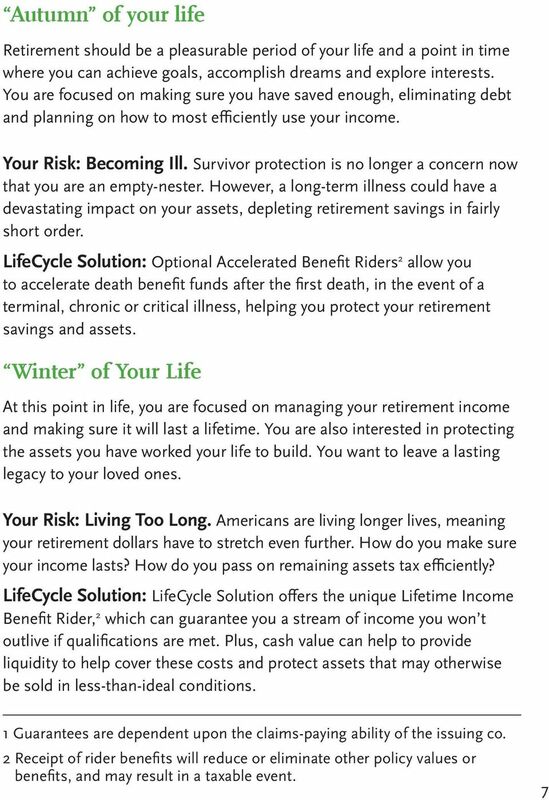 8 Meeting Life Cycle Needs Let s take a closer look at the life cycle, some of the risks you may be exposed to and how LifeCycle Solution can adapt with you, helping to protect you through these seasons of your life. Spring of your life You and your spouse are establishing your careers, growing your income and building your family. During this stage, you are concerned with survivor protection, mortgage protection and starting to save for retirement. Your Risk: Dying Too Soon. As established successful individuals, you and your spouse need death benefi t protection in the event you were to die prematurely. 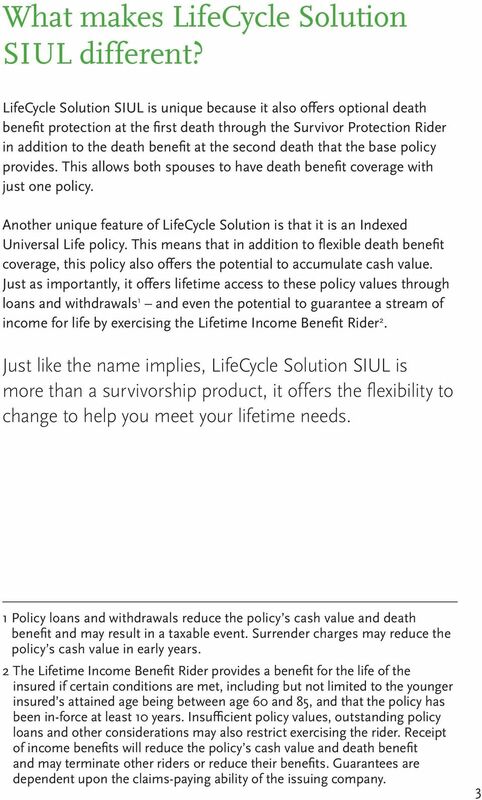 LifeCycle Solution: LifeCycle Solution provides a death benefi t at the second death and the option to purchase the Survivor Protection Rider a rider to provide a death benefi t at the fi rst death. Summer of your life At this point in your life, you are still growing your careers and your family. You are focused on accumulating assets, saving for retirement, maxing out contributions towards tax-deferred savings plans and keeping your family protected. 6 Your Risk: Dying Too Soon. Survivor protection is still a main concern for you. 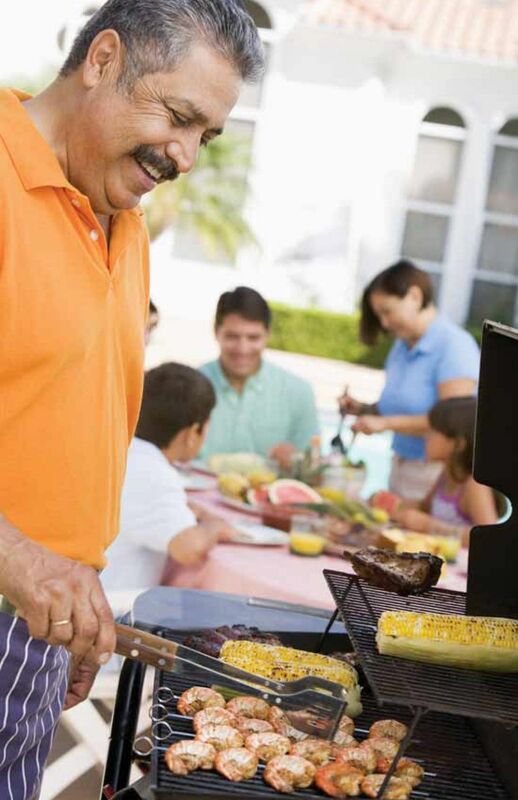 A premature death could have a devastating impact on your family and your spouse s retirement. 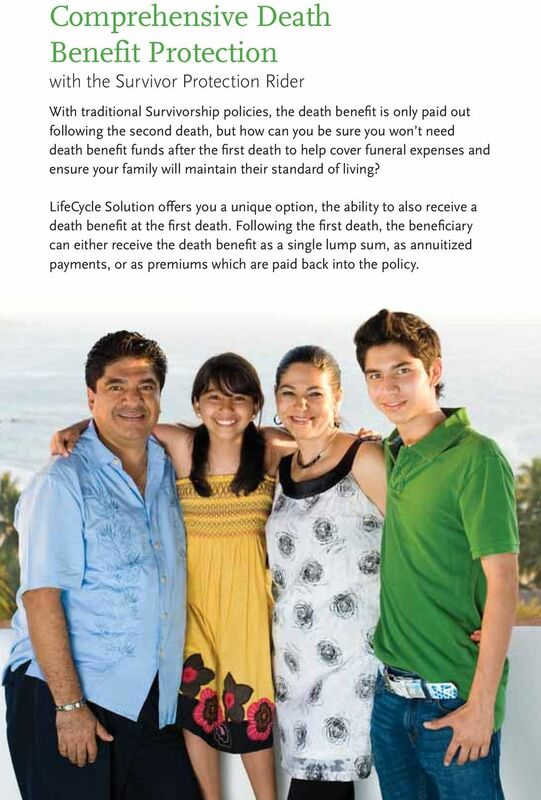 LifeCycle Solution: Again, flexible death benefi t protection can help you protect your family, assets and retirement. As an Indexed Universal Life product, you can take advantage of upside potential and downside protection, which means your policy is guaranteed 1 never to lose value. Best of all, policy values can be used later down the road to supplement retirement income through loans and withdrawals or through exercising the Lifetime Income Benefi t Rider. 14 12 The Participation Rate is the maximum percentage of the annual increase in the index that will be credited. For example: The one year increase in the index is 10%. If the Participation Rate is 90%, then 9% would be used to calculate the interest credit [10% x 90%=9%]. The Cap is the maximum earnings percent that will be credited. For example: The Participation Rate is 100% and there is a Cap of 12%. If the one year increase in the Index is 14%, the earnings will be capped at 12%. Participation Rates and Caps are subject to change annually for a given index segment. 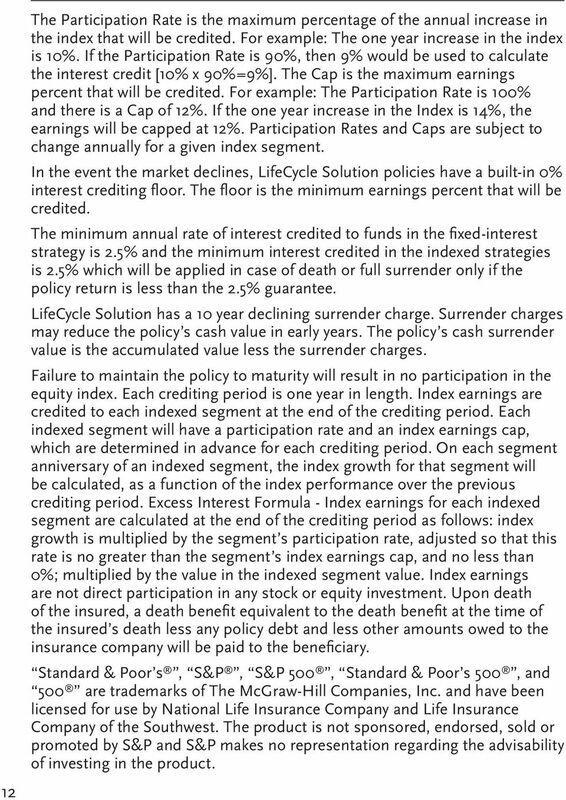 In the event the market declines, LifeCycle Solution policies have a built-in 0% interest crediting floor. The floor is the minimum earnings percent that will be credited. The minimum annual rate of interest credited to funds in the fi xed-interest strategy is 2.5% and the minimum interest credited in the indexed strategies is 2.5% which will be applied in case of death or full surrender only if the policy return is less than the 2.5% guarantee. LifeCycle Solution has a 10 year declining surrender charge. Surrender charges may reduce the policy s cash value in early years. The policy s cash surrender value is the accumulated value less the surrender charges. Failure to maintain the policy to maturity will result in no participation in the equity index. Each crediting period is one year in length. Index earnings are credited to each indexed segment at the end of the crediting period. Each indexed segment will have a participation rate and an index earnings cap, which are determined in advance for each crediting period. On each segment anniversary of an indexed segment, the index growth for that segment will be calculated, as a function of the index performance over the previous crediting period. Excess Interest Formula - Index earnings for each indexed segment are calculated at the end of the crediting period as follows: index growth is multiplied by the segment s participation rate, adjusted so that this rate is no greater than the segment s index earnings cap, and no less than 0%; multiplied by the value in the indexed segment value. Index earnings are not direct participation in any stock or equity investment. Upon death of the insured, a death benefi t equivalent to the death benefi t at the time of the insured s death less any policy debt and less other amounts owed to the insurance company will be paid to the benefi ciary. Standard & Poor s, S&P, S&P 500, Standard & Poor s 500, and 500 are trademarks of The McGraw-Hill Companies, Inc. and have been licensed for use by National Life Insurance Company and Life Insurance Company of the Southwest. The product is not sponsored, endorsed, sold or promoted by S&P and S&P makes no representation regarding the advisability of investing in the product. 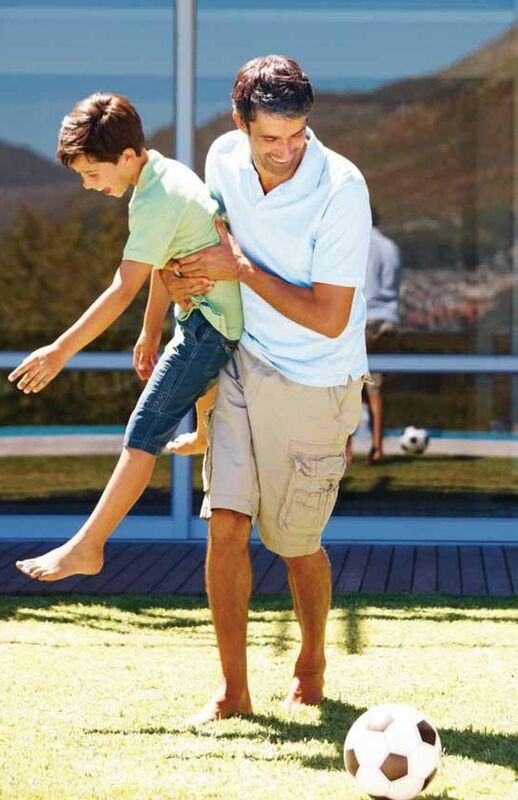 Protection That Offers Selection To Fit Your Lifestyle! More Choices More Control! 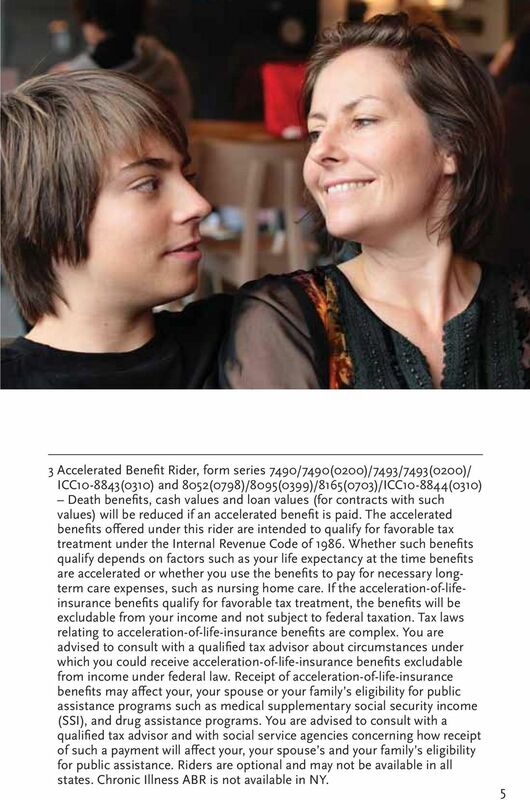 Reno J. Frazzitta Investment Advisor Representative 877-909-7233 www.thesmartmoneyguy.com Immediate Annuities Page 1 of 7, see disclaimer on final page Immediate Annuities What is an immediate annuity?